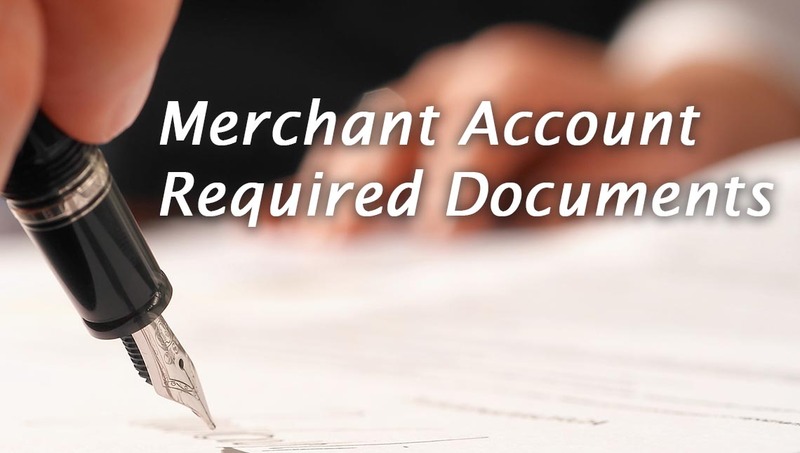 What Are Merchant Account Paperwork Requirements? Our underwriters and banking partners require both a completed application and supporting documentation. The required supporting documentation is very specific and must be exact according to industry standards. In order to expedite your approval and minimize back and forth emails please follow the guide below to provide us with the exact paperwork requirements as they are requested. On some of the common paperwork requirements listed below we have provided examples for you to download. Click on each item to see more info. All pages to the bank statements are required. 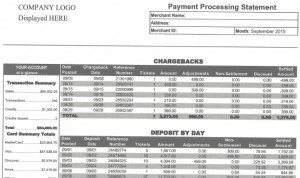 Business bank statements must show legal or DBA name, business address and full bank account&routing numbers. Personal bank statements must show full name or DBA name, business address and full bank account&routing numbers. (Please see "Example Processing Statement Merchant Statement Example Format.pdf" for an actual example of a processing statement.) All pages to the processing statements required. Must be actual merchant statements. 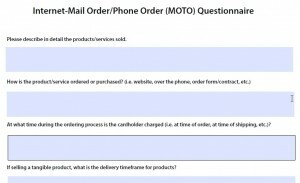 Reports should be by month and display merchant ID, processing month, name of processor, corporation name or DBA. If you do not have a processing history, please let us know. In the very few cases where you are processing but your processor cannot provide you with statements, our underwriter will need your login credentials to your processor`s account. You can change the password after the underwriter reviews your processing history. In rare cases for offshore banks, the banks will require 2 photo IDs (one of which must be a passport) for each owner with 10% or more in equity ownership. 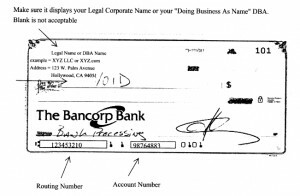 Above are "Bank-Letter-example.pdf" and "Voided-Check-Example.pdf" , both of which show how a voided check or a bank letter should look like and what information they should display. Should have home page, products & pricing page, contact us page, and terms & conditions page. "Complete marketing materials including contracts with cardholders, terms and conditions, price quotes, description of product or services & payment plan terms." Your website should list Terms & Conditions. Please provide us a copy of the Terms & Conditions listed on your website. Must include name and address matching what is on the application. The following are examples of what are considered utility bills: phone bills, cable bills, internet bills, heating bills, town bills, power bills, etc.Some processors accept credit card bills and personal bank statements as utility bills, however these processors are few in number and you shouldn't count on it. Listing Directors, Beneficial Owners and ShareholdersIn case the shareholders' list has changed since incorporation, the bank will need to see additional paperwork sustaining these changes. Tax EIN Letter from the IRS. 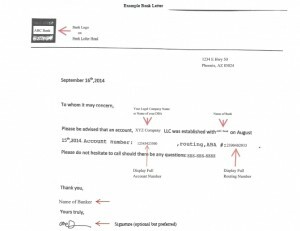 This is usually the SS-4 form or, in the case of some charities, 501(c) letter. 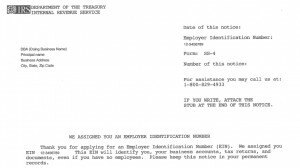 (Please see the "IRS-EIN-Letter.pdf" for how the IRS letter usually looks like. If you enter into any User Agreement or Contract with your customer please provide us a copy. If you have suppliers with which you have agreements in place, please send us a copy of that contract. For Nutra Merchants: List of All the Products Sold through your Website. Even though it can run into the hundreds of listings and hence be a pain to gather, you will benefit in the long run because providing us with a list will generate a stronger, more solid approval for you.The underwriter can take a look at this list prior to the approval and let you know which items you should remove from sale in order to get approved.For example, let’s say you have Epitalent and the underwriter lets you know that you should remove it. Once you remove all Epitalent products from sale, your website would be conforming to the underwriter`s requirements.This way you do not run the risk of having the merchant account shut down upon a review by a senior Risk Manager after 1-2 weeks of processing and not being able to apply back to the same solution for some time. Financial Documents can be one of the following: Tax Returns, Income Statements, and Balance sheets or audited CPA profit and loss statements for the most recent 2 years.These financial documents are required when asking for processing volumes of usually $75,000 and upwards. This should be on your business' letterhead. 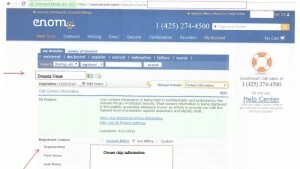 Screenshot Should Show Corp or Director's Name and Domain Named. Please send all items to docs@moneck.com or you can fax them at 602-357-1976.